Social media has grown to such extent that it is a profound and integral part of our daily lives, something that we cannot live without. Ask yourself this question, what were you doing with your free time, 4 years ago ans what are you doing with your free time now? This might be more relevant to you, if you are between the ages of 15 to 36. The reason for this might be simpler than one might think, for one it is because social media is easily accessible. If we take a look at the mobile usage amongst South African youth, 72% of those between the ages of 15 and 24 have cell phones, according to the UN Children’s Fund, UNICEF. This technology enables them to go onto their social media platform easily and without hassle. 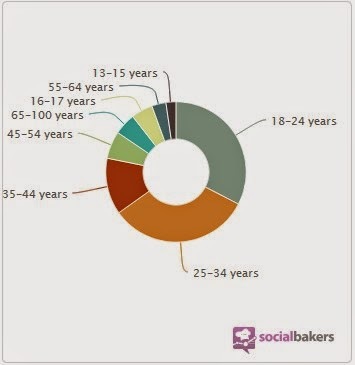 For example, according to Social Bakers, the largest age group using Facebook in South Africa is between 25-34, followed by users between the ages of 18-24 and 90% of them are accessing this platform from their mobile device. The biggest reason for the success of social media is not just because it is easily accessible, but also because it gives the youth, and everyone else, a voice that is loud and clear, one that is heard. It gives them a chance to express themselves in ways that so many disapprove of, especially in public places such as schools, where students get judged by other students or people who don’t let them express themselves. If someone were to judge you on Facebook, twitter, etc. you can easily delete them which many can’t do outside of social media without the risk of being bullied. There is also a sense of power and expression that builds self-esteem; they can converge with whoever they want whenever they want to. It can also be a way out for so many people, not just for the youth, who struggle in life, those who have no friends or aren’t as social as those around them. It gives them a chance to meet new people and find friends online, which they couldn’t have done due to being shy or nervous. Social media also helps strengthen relationships. Many people have friends whom they have not seen since school, or who have moved away and this platform gives them the possibility of staying connected with one another. Even though social media is sometimes perceived as just being a cool tool for young people, providing them with swift and easy means of communication it is also a platform to build their self-esteem. People are still quick to judge the legitimate and informed uses of social media platforms. However, having quick worldwide lines of communication predominantly involving our youth, is exactly what is needed, to reach, activate and involve them in matters concerning our environment, education and social well being. Remember the youth are our future and if we want them to be part of the conversation, then social media is where we need to start the conversation.